The Trustees of Muckross House (Killarney) Ltd., is a voluntary and not-for-profit organisation, which is registered as a charitable trust and limited by guarantee. Our Members and Directors include people from all walks of life. They share a common interest in the preservation of the Heritage of Muckross House in particular, as well as the History and Folklife of Kerry. The Trustees work in partnership with the State, (through the Department of Arts, Heritage and the Gaeltacht), to manage Muckross House as the focal point and main visitor attraction within Killarney National Park. 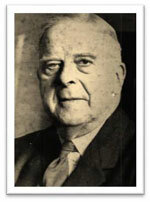 Dr Frank M. Hilliard, First Chairman of the Trustees of Muckross House, (Killarney) Ltd.
Dr Jim Ryan, Minister for Finance, 1957-1965. To continue to act, in conjunction with the State, as guardians of the heritage of Muckross House, Killarney House and of the Traditional Farms, in their setting within the History and Folklife of Kerry. To work in partnership and harmony with the State in the management and presentation of an attractive visitor product within the National Park, so that both local and other visitors gain an understanding of our Heritage and Environment. 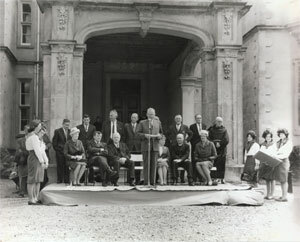 For three decades, following its acquisition by the State in 1932, Muckross House remained closed to the public. Throughout these years, there were many suggestions as to how the House might best be utilized, but no consensus was ever reached. 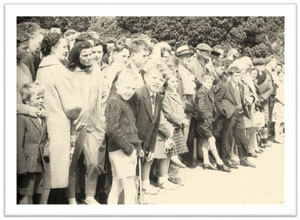 A public meeting was held in Killarney in December 1963 to debate the issue. 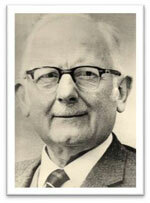 There, Dr Frank M. Hilliard put forward the suggestion that the House should be opened to the public as a folk museum. This idea was enthusiastically received. As a result, a sub-committee of the Killarney Tourist Industry Co-ordinating Committee was established to explore the feasibility of the matter. 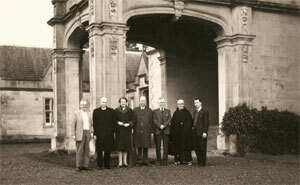 Following discussions with the then Minister for Finance, Dr James Ryan, the committee was granted Muckross House for an initial trial period of five months. The House first opened to the public on the 14 June 1964. In that first short season, 19,500 visitors passed through its doors. Having thus demonstrated that they could successfully manage the House, the committee were granted a further ten-year lease. 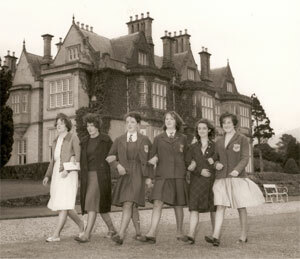 One of the conditions attached to the lease was that the committee should become a limited company, In May 1965, the Trustees of Muckross House (Killarney) Ltd., was incorporated and the existing committee members became the first directors. The present Trustees are ever mindful of their responsibility to remain true to the hopes and aspirations of their predecessors. From the beginning, the Trustees have worked in close cooperation with the State. This spirit of cooperation is still reflected in their Mission Statement today. The Trustees' Company is comprised of over 200 Ordinary Members, who share an interest in the preservation of the History and Folklife of Kerry. The majority of our members are from County Kerry, but there are members throughout the whole of Ireland, the UK, US, Germany and Monaco.